Bold Travels DVDr is shipping now! The DVDr features the fantastic artwork by Ron Milsom, and it also includes the original stereo mixes, plus instrumental stereo mixes and of course the 5.1 surround mixes on DTS digital format. A nice add-on is the inclusion of a 30-min interview/Making of feature, that shows some of the recording of the album. The preorder campaign for the third SETI album is now active, please go to the special preorder page for the details. You'll also find two exclusive video previews for the preorder campaign. 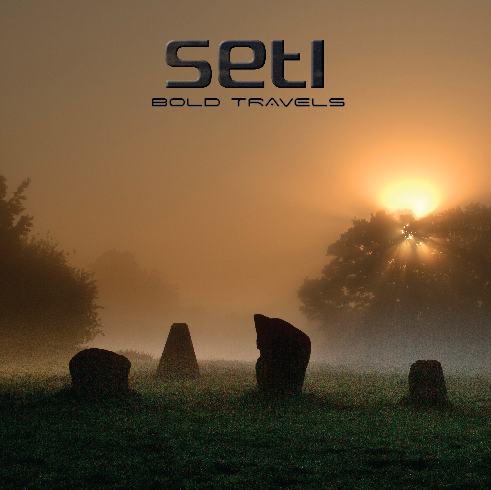 To prepare the waters for the next preorder campaign, all 3 current Seti releases are available as downloads for 4 and 5 USD exclusively at CDBaby.com This offer will expire as soon as the new preorder campaign kicks off, don't miss your chance! Don't forget to follow us on twitter: @SetiMusicProg and also like our page on Facebook. You may also contact us on those social networks, we look forward to read from you! Damian Wilson pictures by Marleen Den Brok.